Here are some awesome half up half down hairstyles which are in trend and everyone wishes to copy them. 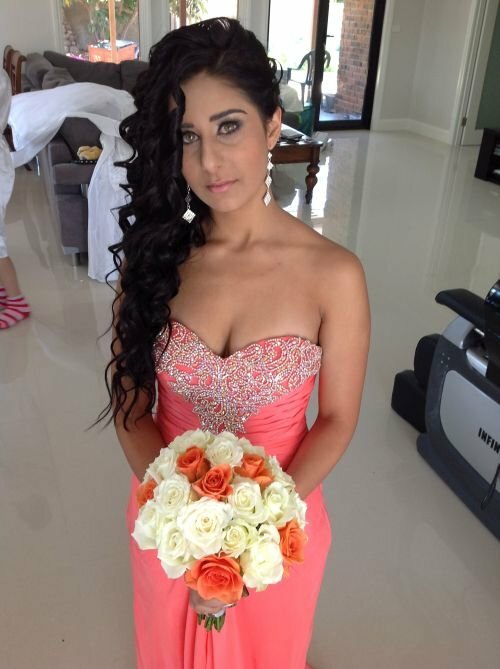 On this post we are going to cover – half up half down hairstyles with braids, half up half down curly hairstyles for medium length hair, half up half down curly hairstyles for prom. 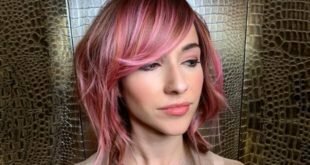 These days half up half down haircuts are in trend and everyone loves to follow the trend whether a girl is blessed with natural waves or just want to achieve something different. 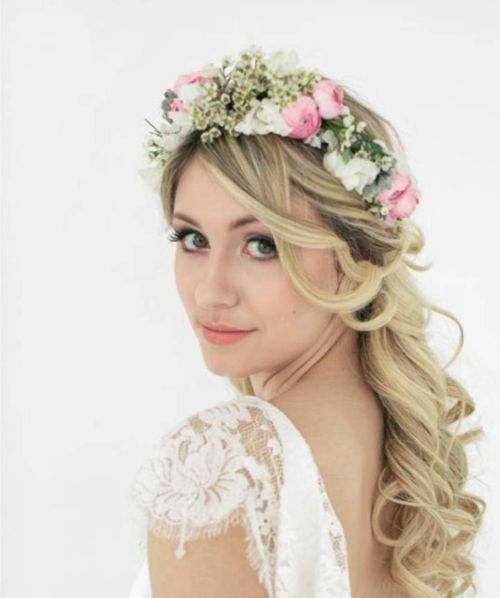 There is no excuse to change your hairstyle based on your hair type, instead you can take an inspiration from our braided, medium length, and prom hairdos to get a gorgeous wavy hairstyle. Use second day hair to create this style and apply some serum to get the desired texture, then twist hair from both sides along the temples and pin up at the back. This hairstyle is a sophisticated version of the one we told above. Two braids start from the same point but go along each other towards the opposite ends. 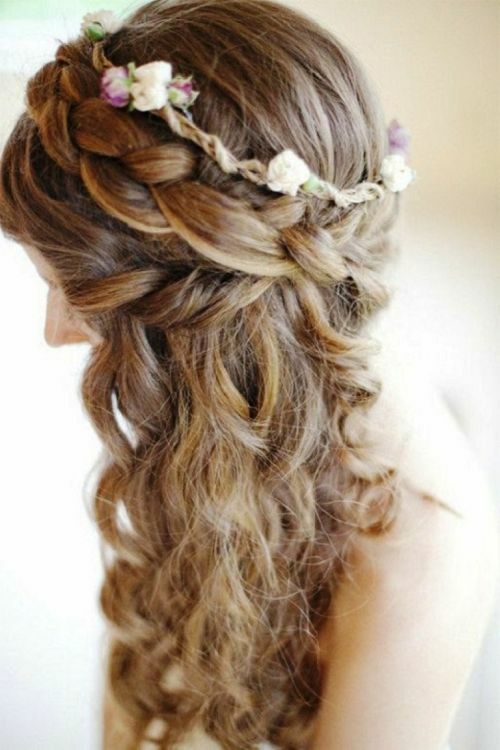 This hairdo is a good choice if you have a cool floral hair accessory to wear. Girls with natural curls can straighten the flick on the forehead. 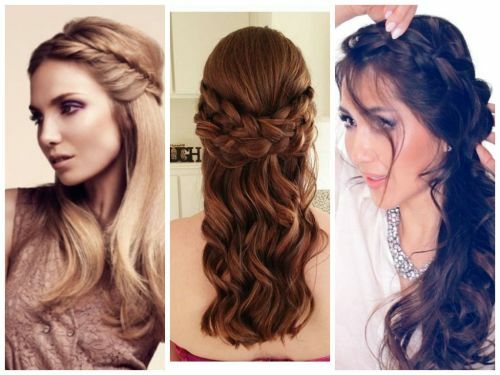 In fact, there are a million ways to do braids on curly hair. It depends on your hair texture and thickness. 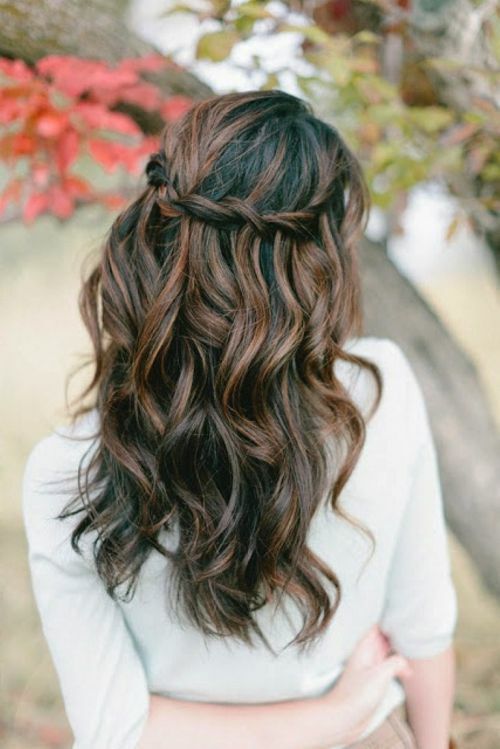 This braid takes waterfall braid to a level next. 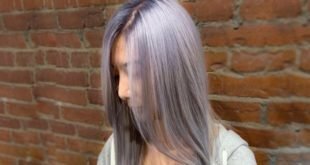 It looks extremely gorgeous on light blonde U shape hair. 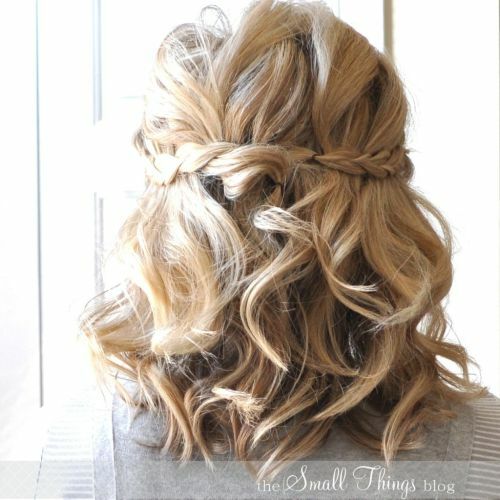 A perfect braided do for the girls who have thin curly hair. 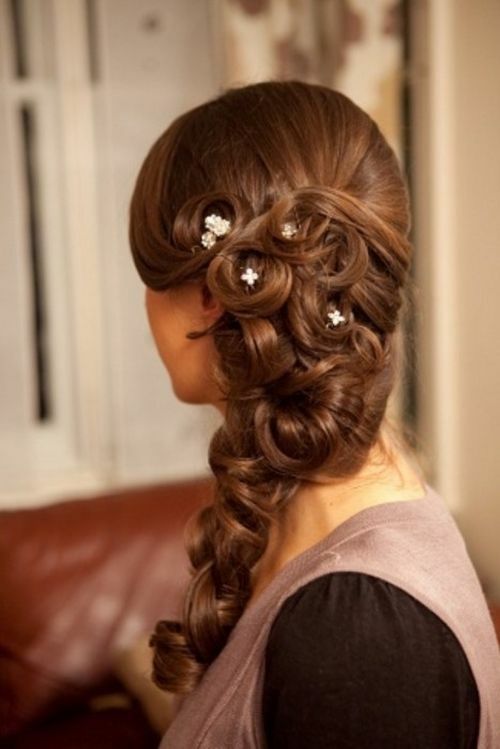 This hairstyle is messy, very girly, and above all humidity friendly. 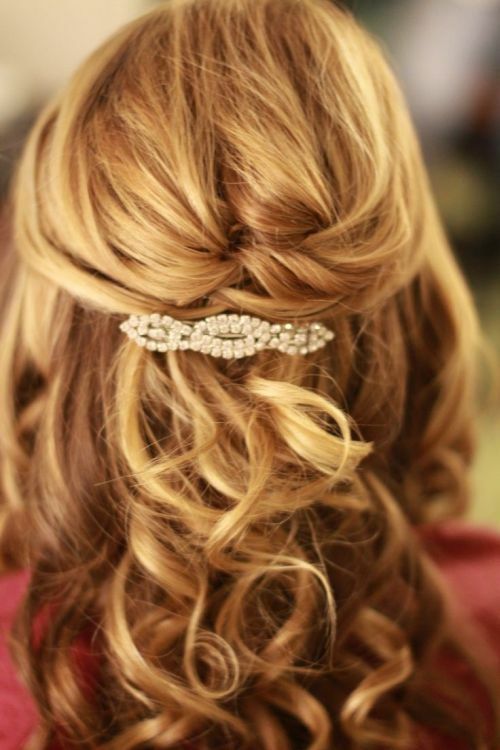 A cascade of tiny braids and strands of hair disappears into each other and the hairdresser has added small brooches to achieve the right level of exquisiteness. Selena Gomez has slightly curled her hair starting from her shoulders and added more texture towards the ends. She looks cute, feminine, and adorable at the same time. 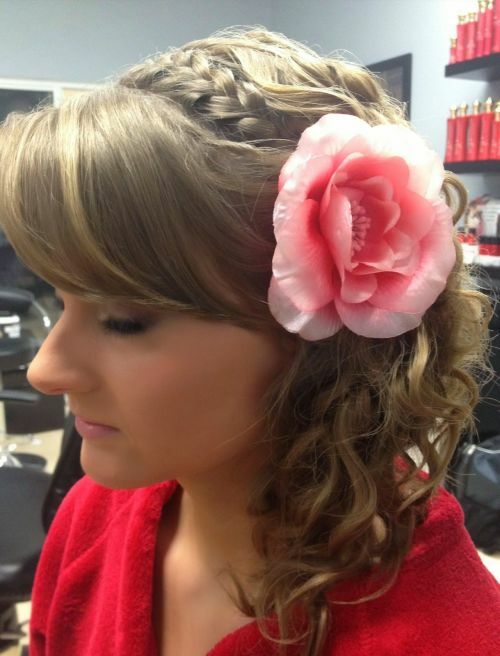 A super cute curly braided half updo where the girls wears little blossoms into her hair. This is a perfect do for thick curly hair. 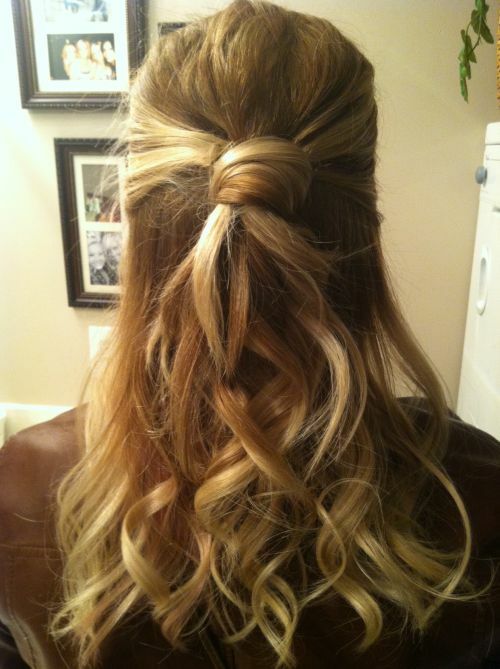 The same old water fall braid accentuates its looks with highlights and lowlights. 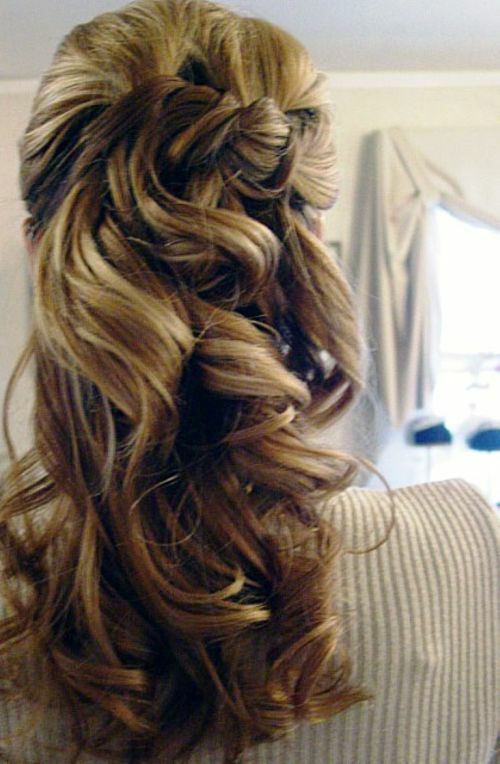 An OMG hairdo that looks like a braid but it is actually a half updo because the girl has tightly curled her down hair. 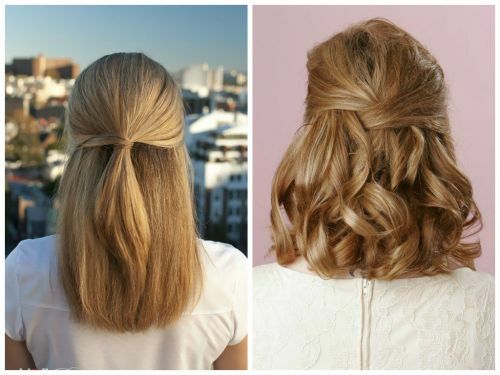 Here are popular knots for half up half down curly hairstyles. 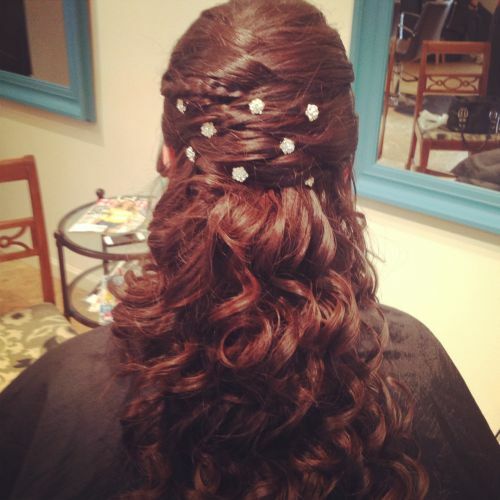 You can wear a bejeweled hair accessory, or leave it plain. 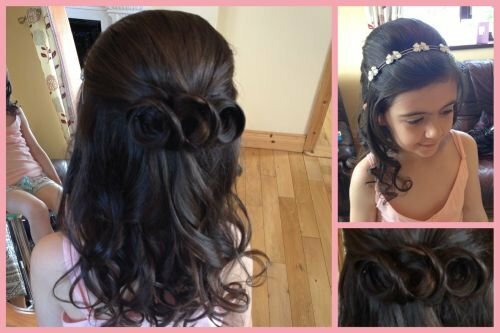 Check out these sides swept curls and twists for a formal do achieved on medium hair. 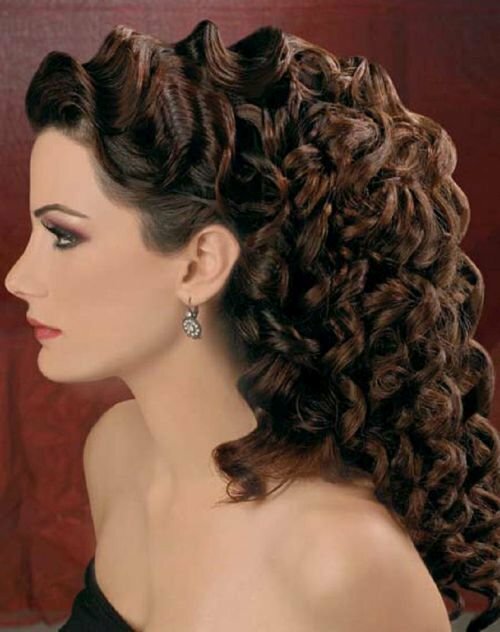 Tight curls and braided hairdos look elegant when you do them on medium length curly hair. Tease and add some volume then boost your natural curls at the back. 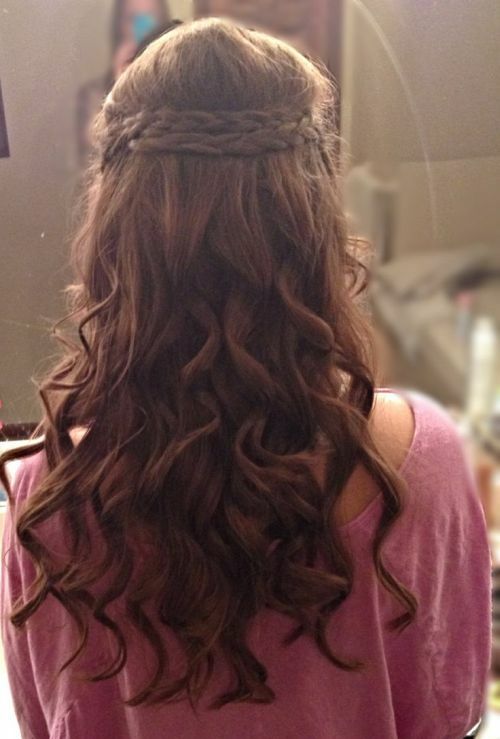 Again center part and tease at the crown and leave beachy waves on both sides. 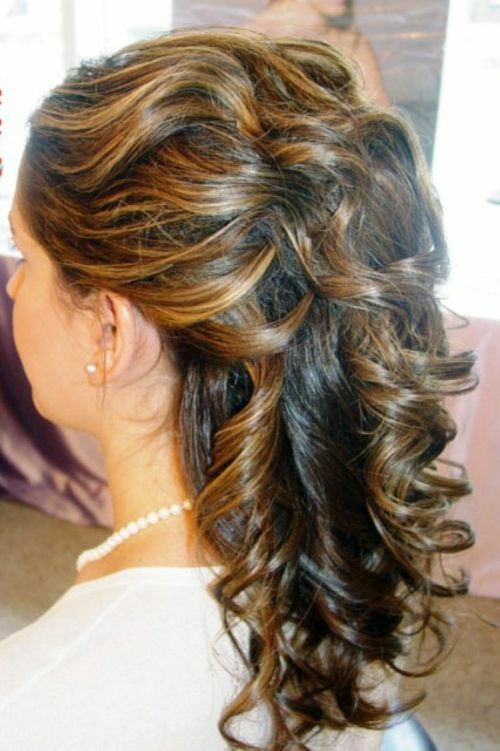 It seems like that teased hair are the only way to get prom styles on curly hair. No doubt, they look amazing! How can we forget Taylor Swift when we talk about prom and curls. 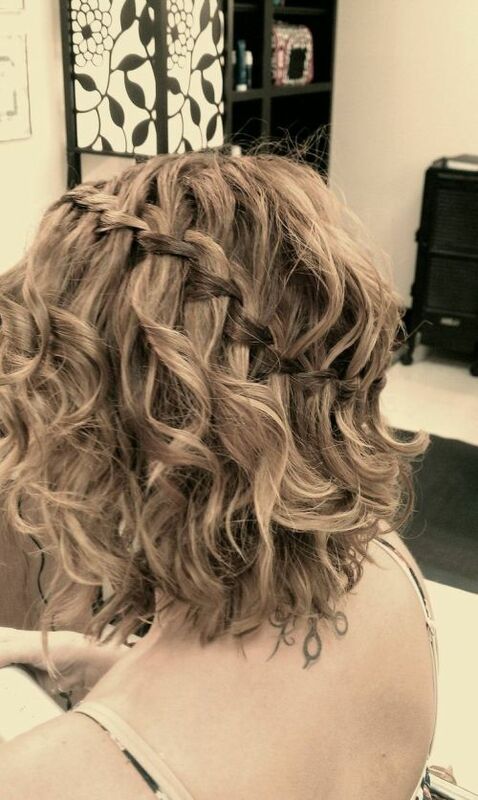 Here is a French braid done on huge curls (see 58 more French braid hairstyles here). Twists and curls for a messy look but it is a must to wear these dos with off shoulder dresses. 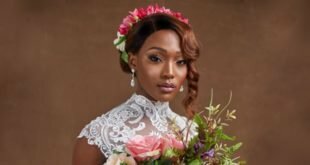 Twisted flips are a common way to do half up half down curly hairstyles since they are not only easier to do but you can also take them to a next level by pinning a floral or bejeweled accessory.